Local band Star Crossed Loners has released a four-track, self-titled, dream-pop indie-rock album. The band consists of Devin Powell (vocals, guitar), Al Deans (drums), Sean Peterson (bass), Mike Perry (keys), and Kelsie Everson (guitar). Star Crossed Loners develops a balance between dreamy and dark, hazy music. The album teeters between rock and pop elements that immerses the listener, partly in an easy-listening, sonic electric atmosphere, and partly in an indie electronic rock undercurrent. The album opens with “Country Western Radio,” a hazy upbeat track which combines acoustic rock sensations tinged with the prominent sound of Peterson on the bass. This gives the track a grungier, darker feel. At times, the bass retreats slightly, refocusing the music on the drums and acoustic guitar, leading into shrills on the electric guitar. This track is mostly focused on the instrumental aspects, as the vocals seemed to fall into the background. 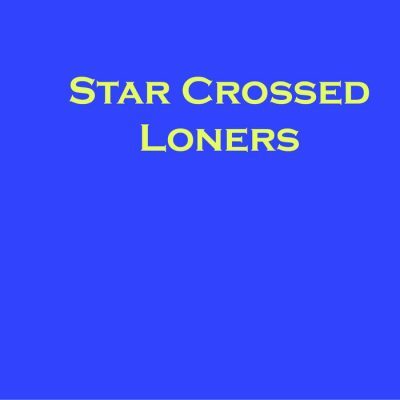 Star Crossed Loners successfully fuses the sounds of five musicians. Rather than overwhelm each song, the band has established instrumental depth. The Self-titled track feels slower paced and dream-like, featuring sporadic rock-like elements on the electric guitar. Vocally, Powell and Everson harmonize with a repetitious “Oo-ooh,” combined with single high-note progressions and a consistent drumming beat. The song offers instrumental and vocal balance, as they sing “I’m such a daydreamer / whenever I see her,” with lower notes on the electric guitar, still tying this upbeat happy track into the easy-going, yet grungier rock atmosphere of Star Crossed Loners. The album concludes with “You Don’t Have To Try,” and is at times upbeat, but slows and speeds in rhythm periodically. The song projects a blues-rock sense of melancholy, especially with Everson’s dynamic vocal range. Together, they sing the bluesy words: “We walked across the shoreline / for dry wood that night / though we can’t hold a fire / how I try and I try.” The song is the longest on the album, and moves slowly, with soft percussion in the background and slow chord progressions that lead to an electric guitar solo, almost in a fit of frustration.